We knew that Honor, Huawei’s sub-brand, was planning something for the second half of January in Paris, but we didn’t expect to see what they were launching sooner. At the time we received the press invite, we didn’t know exactly what the company was planning but it was assumed that it would be the Honor View 20. Granted, that is for the European release as now it has just been announced the same device will be launched in China next week. It will come with a 4,000mah capacity battery along with a 25MP front-facing camera and the Honor V20 name. Honor is Huawei’s sub-brand for various regions around the world. This has been a smart decision for Huawei as it can be difficult for westerners to properly pronounce their name. The name of the company can make or break it in various regions just like a product name, so it made sense for the company to pick Honor as their brand for some western markets. 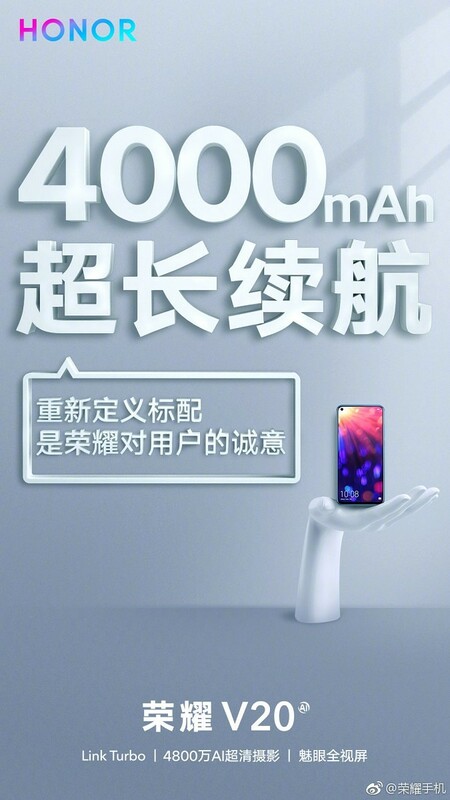 However, they also sell these same devices in China, but like other OEMs, they rebrand them to a name that fits their home country better as well. So while Huawei will be launching the Honor View 20 in Paris during on January 22nd of next year, the company has recently confirmed they will be debuting the Honor V20 in China just next week. The phone will have a 25MP selfie camera and the back of the device will be equipped with Sony’s 48MP IMX586 CMOS sensor, which was revealed earlier this Summer. 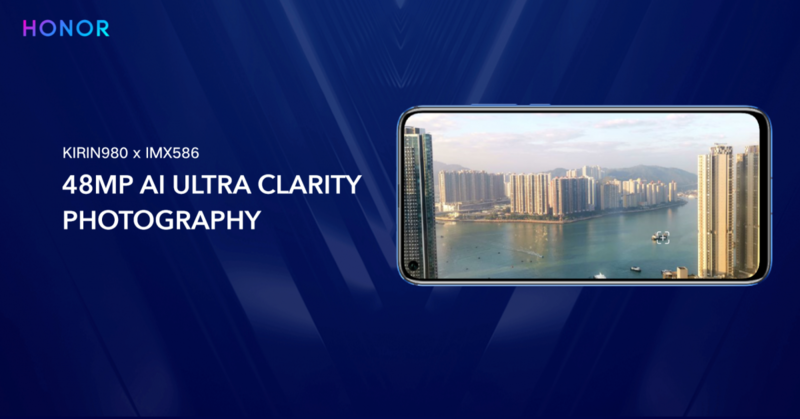 The device will have a slim top bezel without a notch thanks to the hole-punched camera cutout of the display like we have seen with the Samsung “Infinity-O” display of the Galaxy A8s. 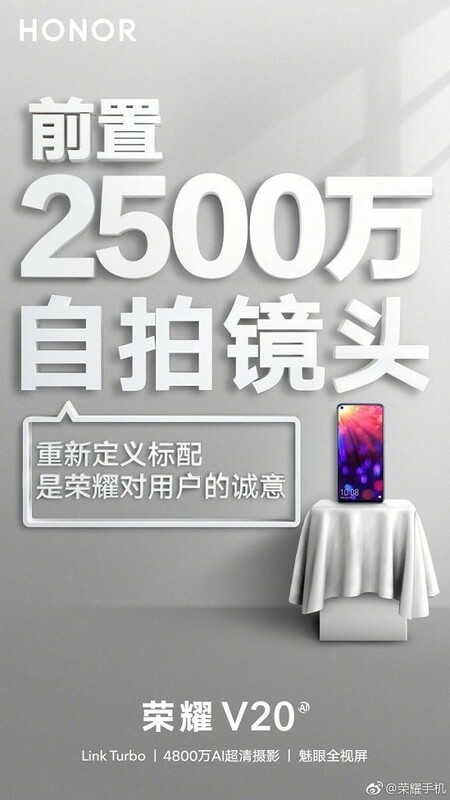 The Honor View 20 (again, to be known as the Honor V20 in China) will have an AI feature called “Link Turbo” which allows simultaneous downloads over WiFi and 4G. Additional hardware and software has yet to be revealed (but we won’t have to wait long to find out), however, rumors suggest it will have 6GB of RAM and launch with EMUI 9 based on Android Pie.